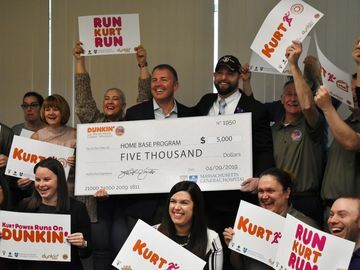 Surprise and DDelight Alert: Will You Be One Of Our Lucky Dunkin’ Donuts’ $1K Giveaway Winners? Here at Dunkin’ Donuts, we’re all about surprising and DDelighting our guests. It could be something as small as when your local crewmember tosses an extra Munchkins® donut hole treat into your bag, or when the DD social media team randomly sends a DD Card to a follower of @DunkinDonuts on Twitter to brighten up a bad day. Other times, we get to up the surprise and delight ante. IntroDDucing the Dunkin’ Donuts $1K Giveaway! 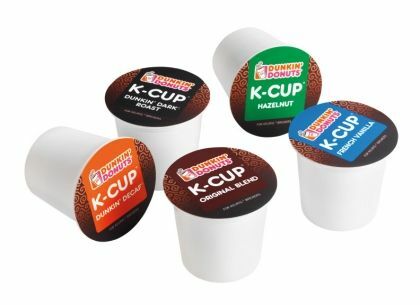 InspireDD by our recent Dunkin’ K-Cup® portion packs launch, we’re going to randomly surprise 12 guests at different U.S. Dunkin’ Donuts restaurants between Thursday, August 4, through Friday August 12, 2011 (or earlier if the time/locations have all been selected and the winners confirmed), with a check for $1,000, a Keurig® Single-Cup Brewer and a year’s supply of Dunkin’ K-Cup® portion packs. Wondering how you can have a chance to win the Dunkin’ Donuts $1K Giveaway? 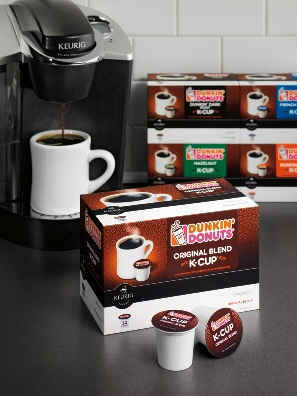 Because the goal of this promotion is to surprise and delight, all you have to do for a chance to win is to visit your local Dunkin’ Donuts restaurant during August 4-12, 2011 (or earlier if the time/locations have all been selected and the winners confirmed). 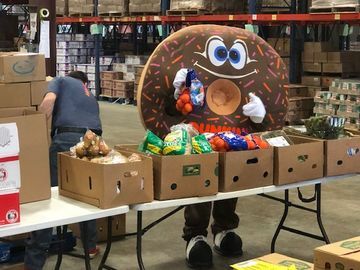 If you’re selected as one of the Dunkin’ Donuts $1K Giveaway winners, you’ll be approached by a Dunkin’ Donuts representative while in the DD restaurant. No purchase is required. To read the full set of Official Rules: http://www.dunkindonuts.com/content/dunkindonuts/en/promotions/1K_GIVEAWAY_PROMOTION.html. Now that you’re in the know, let us be the first to wish you gooDDluck! 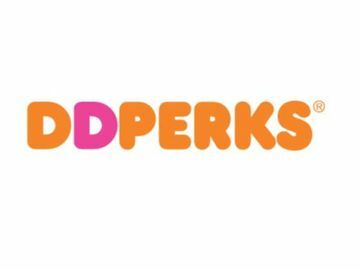 Keep an eye on the Dunkin’ Donuts Facebook page and the DD Blog, where we will be announcing the local winners as they’re surpriseDD and delighteDD!